I read the whole review and find Aruba extremely fascinating. The information about the people, the government and especially the shipwrecks has really piqued my interest. Thanks a lot for your review. I hope I get a chance to go to Aruba someday. Thanks a lot for your kind comments. I am glad you enjoyed finding out a few things about Aruba. I also find it quite interesting. The ABC islands set there just off Venezuela are really quite different from the rest of South America with their Dutch heritage. If you make it there, please write me a note. I am dreaming some time in the future to take some scuba diving lessons because it’s something I wanted to do for many many years but what I love even more is shipwreck diving. 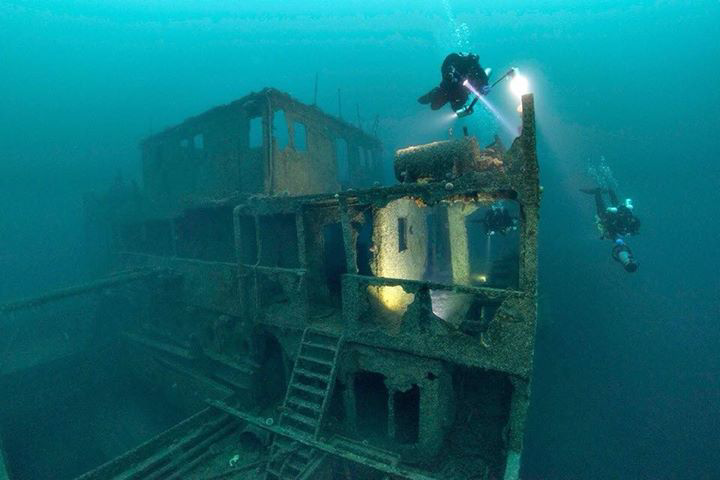 Every time I see some video with shipwrecks I become jealous and wish I was there. Great article and very nice resort. Thanks for the review. Nice to see you again and that you are still interested in getting started in diving. Thanks for your kind comments. One good thing about Aruba is that if you take the open water diver class there, you can be assured of diving on a wreck. Lack of current and surface chop and shallow wrecks make it a certainty your instructor will take you to at least one. When you make the move to take the course, please let me know. It is a great plan to put resources into travel insurance for scuba diving, since no one can really tell what could occur and when you may require it and mishaps do happen. I would love to have diving insurance that offers worldwide coverage and a spotlight on giving scuba divers quality protection and medical assistance service before going for Aruba Scuba Diving. When you are in a new or unfamiliar country it is good to know that you are covered for medical treatment, should you need it. It provides a layer of security to take a potential worry off your mind. Aruba sounds like an absolutely amazing place to go diving! The different dive sites that are ship wrecks and plane wrecks would be so fascinating to visit. A bit eerie I imagine, but to see the ocean and sea life take over a man made vessel would be quite a sight to behold! Thanks for your interest and kind comments. Wrecks are quite fascinating. They are historically intriguing and provide excellent habitat for wildlife. If you have a special interest in wrecks, I suggest you look at my posts on Truk Lagoon, Coron and Sri Lanka. Many other areas also have got wrecks to explore. A lot of divers specialize in them. If you have any questions or would like advice about where to see wrecks or anything about diving and equipment, please let me know. Aruba looks even more fascinating as a diving and resort destination than the Tuscan Archipelago I wrote to you about yesterday. The warm climate, all the fascinating water sports, and the nightlife is really my style. I clicked on the hotel website and see that many top-level hotels are there with a huge range of facilities and services. That is also what I am looking for. I’m not a bargain basement type of traveler. Thanks for another tremendous review. Great to see you are coming often to read my reviews. Thanks for your kind comments. I want to point out that for the budget traveler there are also options starting at $19 a night. I think that is pretty hard to beat anywhere. If you have any further questions or comments, please get in touch. Great article Joe, many thanks. It really teases the appetite for another seaside vacation. My impression is that it is largely unspoilt with a colourful culture waiting to be experienced in the populated areas. I forwarded this to my wife and well be placing Aruba on our bucket list. I appreciate your kind comments and interest. I hope you and your wife get the chance to go. If you have other comments or questions, please get in touch.